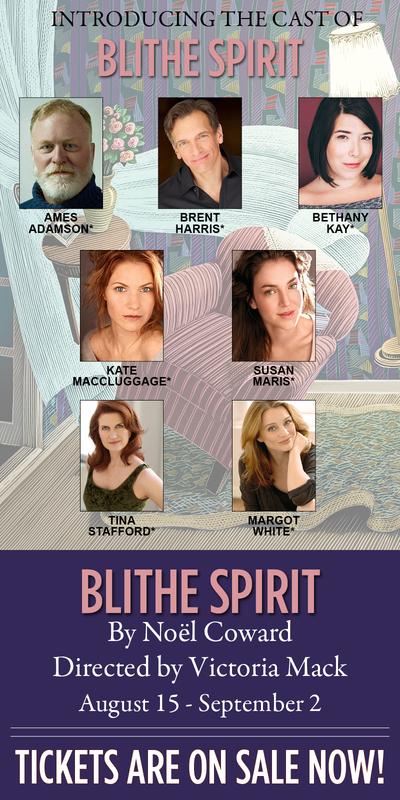 nj arts maven: Meet the Cast of BLITHE SPIRIT! Cocktails, British high wit and a stylish ghost inhabit this delicious comedy that literally turns a pristine English country house inside out. An eccentric medium is asked to conduct a séance, only to conjure up the ghost of a past wife hellbent on causing mayhem. One of Coward's most popular plays, we have not presented it in over 20 years!